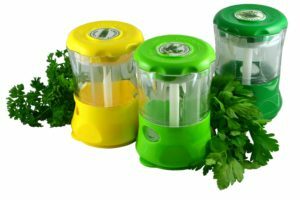 FRESHMILL HerbZ lets you store fresh, whole culinary herbs in your freezer in a compact form, and chop them easily when you need them. With FRESHMILL HerbZ, your fresh herbs will keep their flavour for a long time and won’t wilt, avoiding waste. 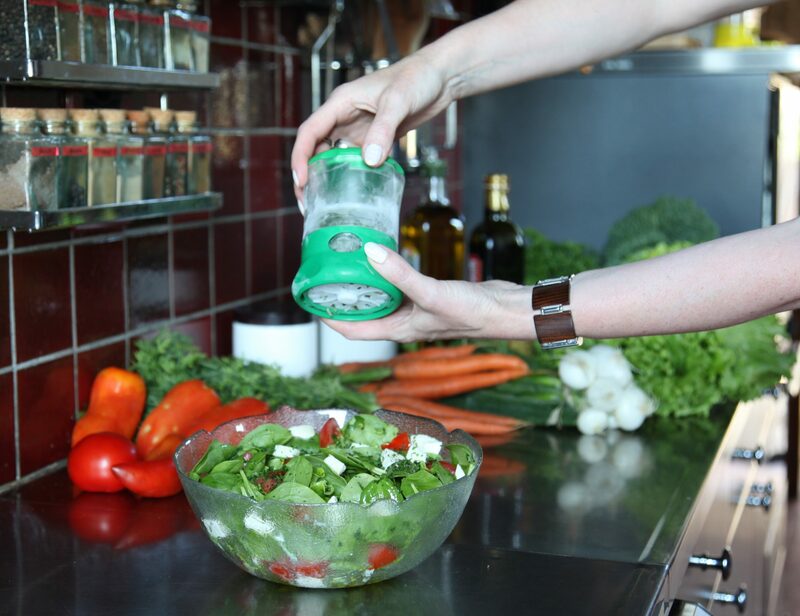 You can season all your dishes in a few seconds..
FRESHMILL HerbZ won multiple industry awards : the 6th TéléShopping Innovation Competition held by French TV channel TF1, two gold medals at the 107th and 108th Lépine Competition. FRESHMILL GarliX is a small hand mill with 20 stainless steel blades and 4 pre-cutting teeth. 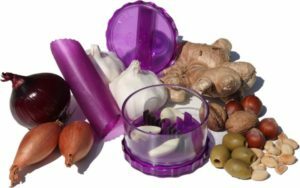 It will chop garlic, onion, shallots, walnuts, olives and many other foods, quickly and effortlessly. 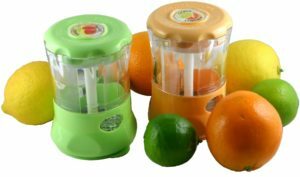 Unlike many other similar mills, FRESHMILL GarliX will not crush your ingredients, and you easily control the fineness of the chopping. FRESHMILL GarliX, the essential everyday addition to the FRESHMILL HerbZ for all your salads and other side dishes. With FRESHMILL GranitA, you will transform it into a surprising flavoured snow. Now, you can create amazing dishes or cocktails with this light, refreshing, new texture. FRESHMILL GranitA is also just great with fresh squeezed lemon juice. Always ready in your freezer and so quickly and cleanly dispensed ! 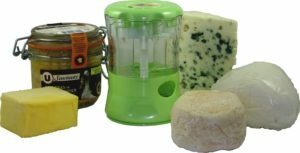 FRESHMILL CheeZ is the first grater dedicated to soft cheeses. The full taste of cheeses with a small quantity. 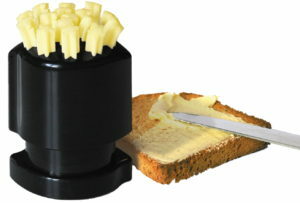 FRESHMILL GalacT is a fun and smart butter dish that will do the show on your table. A twist at the bottom and the butter will pop-up as a bunch of stars. Elegant and hygienic.